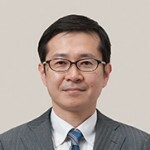 Mr. Suzuki handles trademark, design, and unfair competition law for national and international clients. He manages worldwide trademark and design portfolios for global companies. He has experience in advising anti-counterfeiting strategies, custom seizures, and cyber-squatting.